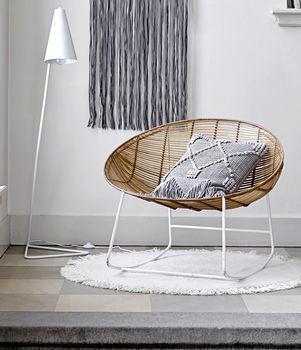 A gorgeous metal framed low slung chair. Enjoy a traditional concept with a contemporary twist with this unique rocking chair. 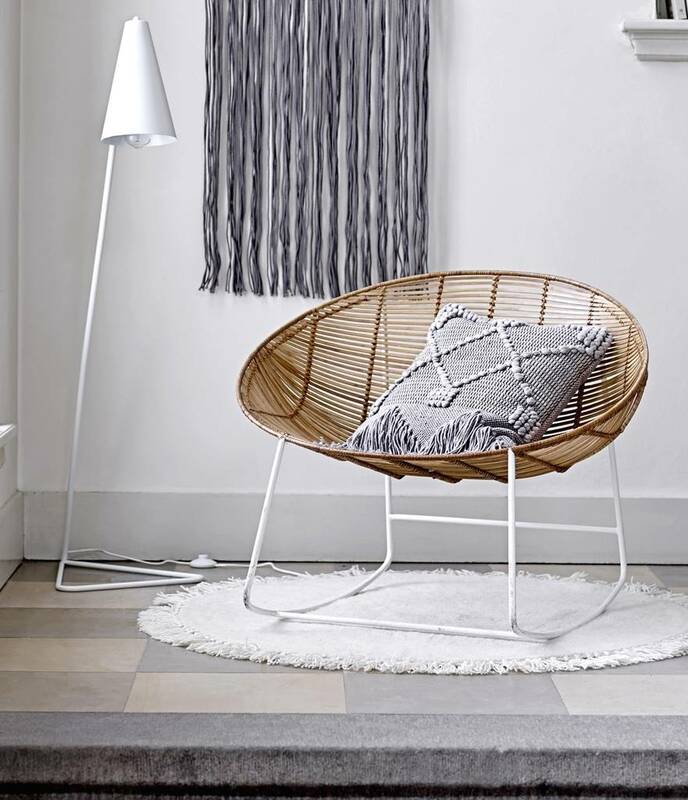 Woven from rattan and featuring a fluid, curved shape, this natural coloured seat sits upon white metal rockers. Perfect for relaxing in your conservatory, bedroom or would make a stunning update for any room in your house.